We've started with a great location, a patch of ground with a history of deep roots. 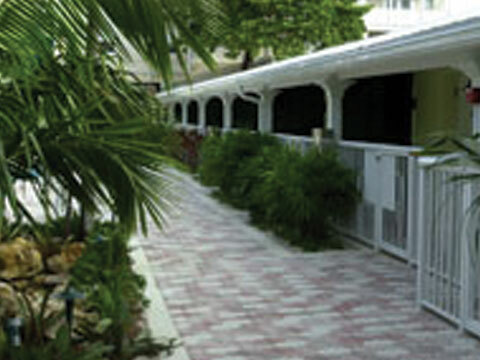 It's right at the very crossroads of Old Town Key West, so you'll be steps from everything... and that's just the seed of our idea for a new Key West lodging. Let us plant this thought and watch it bloom: lush tropical landscaping reaching skyward, surrounding our 22 elegant, amenity-filled rooms. There's a privacy wall, tranquil waterfall, free continental breakfast, sun decks, inviting pool & spa. Off street parking is available at a reduced rate. Think of us as a relaxed and serene Inn, flowering with all the amenities, service and personal attention guests expect in a fine Bed & Breakfast. Just imagine your next Key West trip. You'll take short strolls to anyplace: restaurants, attractions, activities, pubs, even the Ocean or Gulf. Inside the privacy of our resort, you'll harvest the bounty of our efforts as you relax amid the peace and quiet of your oasis of solitude. Nurture yourself in a tropical paradise. When you're recharged and ready to go again, all of Key West is blossoming just outside your door. We think you'll agree we're growing the perfect blend of serenity and activity. ...That's Us, In a Nutshell.